Hi everyone! Today I have an updated swatch for you of CrowsToes Huginn & Muninn. You might remember seeing this under Instant Xmas (just add nails). I hadn’t worn this in so long, it was nice to pull out this beauty! 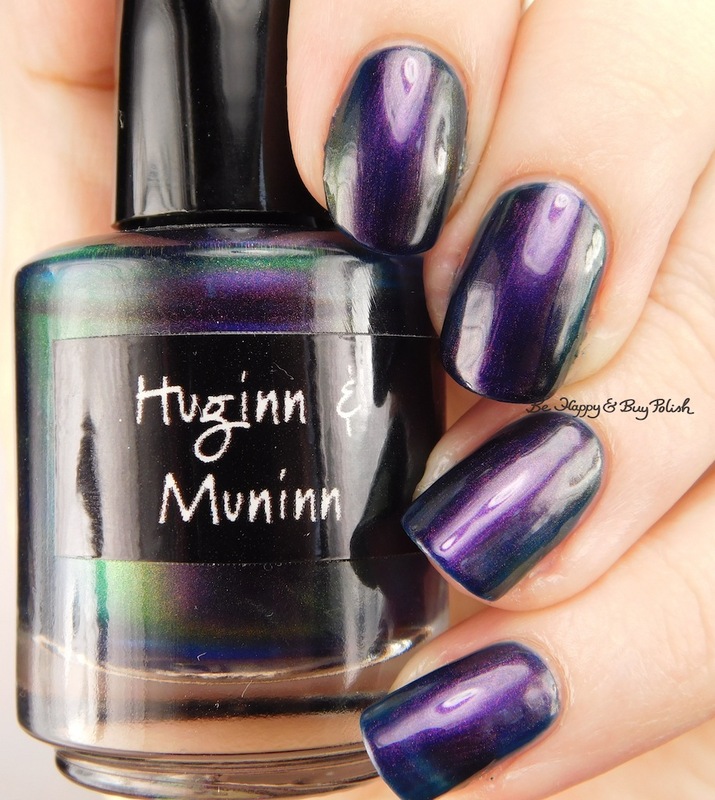 Huginn & Muninn is a purple based polish that shifts from purple to blue to green to purple-red to a green-gold. It’s so purty! Formula was a bit thin but not too bad. This is 3 coats and no top coat. It was nice to pull out this oldie but goodie! When’s the last time you did that? What a great shifter! I believe you captured every color in your macro shot. I also have a hard time remembering to shop my stash, LOL! Gorgeous swatches! I pulled out an oldie for my birthday. But it was still new to me. Hmm I need to bust out one of my vintage Crows! I have the sparked version of this on its way to me – I can’t wait!